Established in 2002, Comtech Audio Theater Security has been consistently evolving to provide top quality low voltage installation and service. As the industry rapidly changes, they are dedicated to staying at the forefront of new technologies and services, including how to best apply them in the field. Located in Billings, MT, Comtech is fully licensed and trained to install low voltage systems. State licensed, NICET certified and manufacturer trained. Comtech participates as a member of CEDIA (Custom Electronics Design & Installation Association) ESA (Electronic Security Association) and the NAHB/HBA (Local and National Association of Home Builders) and the Billings Builder’s Exchange. Comtech volunteers both money and time to many local non-profits including Zonta Club of Billings, Montana Anti-Human Trafficking Task Force, Little League, Ramsey Keller Memorial and much more. COMTECH Audio Theater Security began in April of 2002 out of the home and garage of Oli and Melanie Tripp. Oli started Comtech to earn extra income while attending Montana State University Billings. At the start, COMTECH’s products included home security and central vacuum systems. Listening to his customer’s needs, Oli soon realized a need for a company that offered more. Since that time, COMTECH has grown to offer wiring, installation and integration of just about any low voltage system, including security, cameras, audio, video, automation, lighting, thermostats, networking, access control and more. Oli and Melanie’s company was truly the first company in Billings to offer a complete menu of low voltage systems. In 2007, Oli and Melanie built a showroom and 7000sf building of Shiloh/Zoo exit turning a page for their small business. Today, Oli’s one-man shop is busy company of 10+ employees serving all of Montana, northern Wyoming and the Dakotas. Comtech is a company unique and creative to the region with a wide variety of services and a philosophy of building a personal and lasting relationship with customers. Our reputation is one of honesty, quality and superior service. We encourage an atmosphere of problem-solving, new ideas and excellence, and strive to be a leader in the community, dedicated to giving back. Comtech supports and volunteers each year to many local and national charities. Our efforts include important causes like neighborhood watch programs, human trafficking, domestic violence, missing children and more. A few of the charities and programs we’ve helped include, Passages, Zonta Club of Billings, Billings Food Bank, Laurel Little League, Billings Bulls Hockey, National Missing Children Programs, Lifeway Church of Billings, Big Sky Youth Education, FREE International, Ramsey Keller Foundation, Youth Dynamics and more. Comtech is a member of the Chamber of Commerce, Home Builders Association of Billings, Billings Builder’s Exchange, Electronic Security Association, NICET, CEDIA and the Authorized Integrators Network. 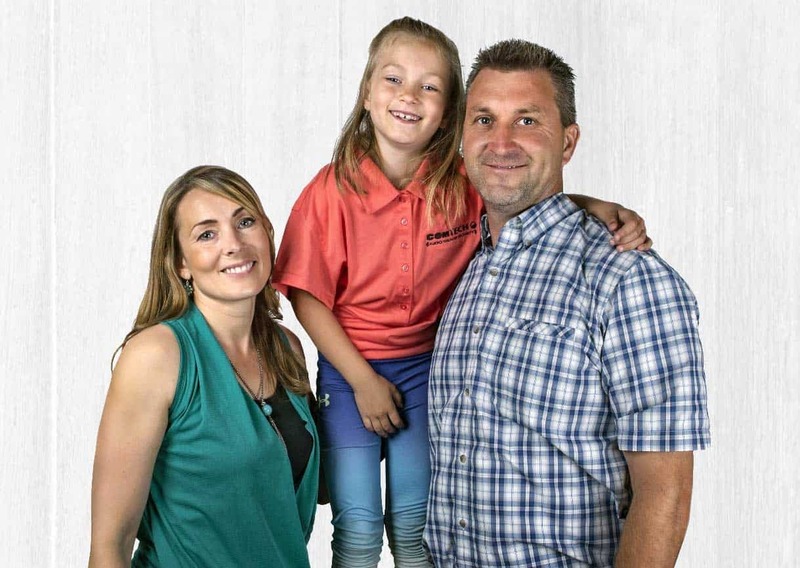 Oli and Melanie Tripp of Comtech are active in the community offering advice and mentoring to new business owners and often help with local and community events. We want to thank the community and surrounding areas for supporting us as a small business. Small business is the heart and soul of America and we take this responsibility seriously! Find out more about what it’s like to work with Comtech. Learn about our process and read reviews and testimonials from our customers.